“It’ll blow over” is not a very good mantra for the retail industry. It seems like we can’t go a few weeks without news of a new data breach. The most recent came by way of Staples, which announced earlier this week that it was looking into a possible flaw in protecting customer credit card data. But these aren’t isolated events. The frequency of data breaches has been increasing every year. And according to one new study, consumers don't want to take it anymore. Market research firm Annalect estimates that one in five consumers claims to have been affected by a data breach. But the firm’s latest report also shows that breaches have lasting effects on consumer psychology. Based on an ongoing study of 2,100 adults who use the Internet more than once a month, Annalect found that 72% of those who had their data compromised said that their perception of the company involved changed for the worse. Twelve percent refused to shop at those retailers following the breach. People aren’t blaming credit card companies, either. 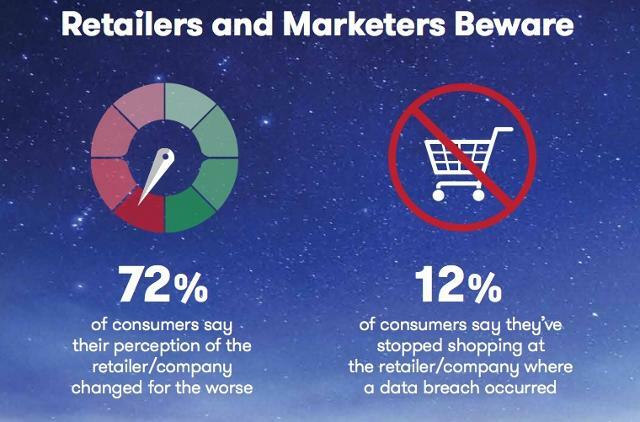 Half of those surveyed blamed the retailers directly, and more are now concerned over how their data is being used than ever. Annalect’s quarter-to-quarter findings also suggest that popular awareness of personal data vulnerabilities has grown after Edward Snowden leaked documents showing how the U.S. government surveils its own citizens. But so far, it seems few major retailers are immune to breaches. So it might be that everyone is simply worse off.